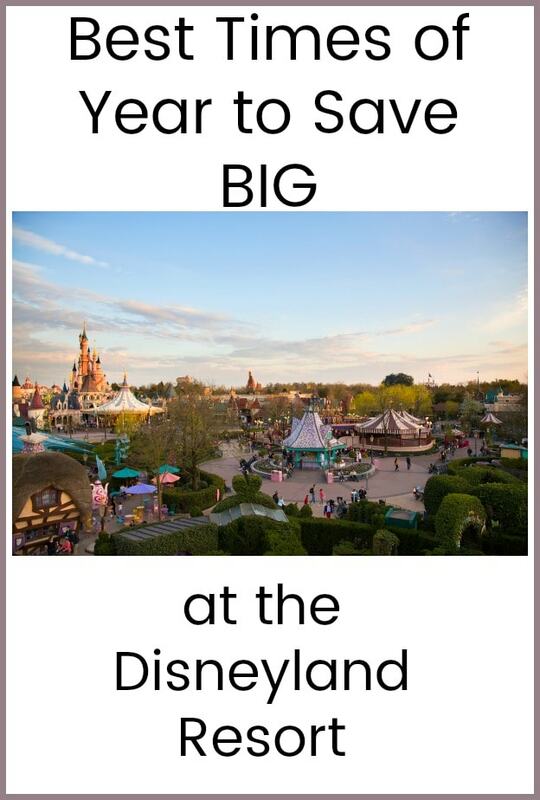 Best Times of Year to Save BIG at the Disneyland Resort (+ Fewer Crowds)! Planning a vacation to The Happiest Place on Earth can be a whirlwind of emotions. While you’re excited to experience all of the magic, it can be hard to figure out when you should go, where you should stay and if you’re getting the best deal. Luckily, I’ve partnered with my friends at Get Away Today to give you a guide on the best times of year to save BIG at the Disneyland Resort. This way, you don’t have to worry about anything else other than having a great time! 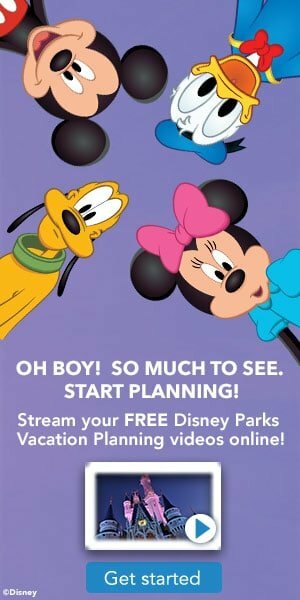 You can also request a FREE Disneyland Planning Video here. I love to grab one of these whenever we are starting to think about planning a trip to Disneyland, as they get the entire family excited for the trip. Oh yeah, and they help with planning your trip too. Be sure to check out our Disneyland Deals page for more tips on how to save, including deals on tickets in to the Disneyland park, and hotel deals for your Disneyland vacation and much more! While Disneyland is becoming more and more popular each year, there are still ways to navigate the crowds and find specials on hotels and tickets. The first way you can save big when traveling to Disneyland is to avoid visiting during holiday celebrations. Halloween Time and the Holidays at the Disneyland Resort are the most popular times to travel and for good reason. With seasonal décor, treats and ride overlays, everyone wants to experience the fun. However, those experiences can come with a price tag. While ticket prices remain steady, hotels will either sell out or increase their rates during these popular travel times. In addition to this, airfare prices tend to go up during holiday months. Another time to avoid travel is during school breaks. Of course, we understand that sometimes this is the only time of year that families can travel. However, if you have the flexibility to allow your kids to miss a couple days of school, you’ll find better hotel availability, pricing and fewer crowds at the park. If you’re feeling guilty about kids missing school, just take them to Great Moments with Mr. Lincoln while you’re there. They’ll get an important history lesson and you’ll still be able to visit The Happiest Place on Earth. It’s a win-win! To help you decide when to go, I’ve placed a list of the best times to travel to the Disneyland Resort below. Not only will these months be the least crowded, but you’ll also be able to find great deals on hotels, tickets and more! With holiday festivities ending, kids back in school and reality setting in, January is understandably a slow travel month. However, you can use this to your advantage when planning a Disneyland vacation. If you want to travel during Holidays at the Disneyland Resort, but are worried about the crowds, head to Disneyland during the first week of January. All of the festive décor, dazzling entertainment and joyful celebrations will still be around, but you’ll be able to beat long lines and the higher price tag. Just be aware that you might run into ride refurbishments if you travel during the month of January. Luckily, the Disneyland Resort does a good job of spreading each refurbishment out, so you’ll never see a lot of closures at one time. As a tip, travel after New Years Day. You’ll be able to find better flight prices, hotel specials and ticket deals too. When you book with Get Away Today, you’ll be able to take advantage of their Adults at Kids’ Prices promotion throughout January on any 3-Day or longer Park Hopper ticket. Combine this with any of their hotel offers and you’ll be able to save big when you travel to the Disneyland Resort in January. While February is considered a slower time at the parks, it’s also home to the Lunar New Year celebration! When you travel in February, you can experience culturally inspired food, entertainment and hang out with characters like Mulan and Mushu. To avoid higher price tags, make sure to avoid holidays like Valentine’s Day and President’s Day in February. Like January, you might experience some ride refurbishments and renovations. However, February is a prime time to go if you’re looking for free night hotel specials and availability. May is another month to consider when planning your Disneyland vacation. This is typically when Disneyland will debut their summer celebrations, but you’ll be able to beat the heat and the crowds that you’d see throughout June and July. Because most school summer breaks don’t begin until the beginning of June, we’d recommend that you travel during mid-May. You’ll be able to miss late spring breaks and celebrate an early summer vacation. It’s important to note that Disneyland does Grad Nite throughout the month of May. On select nights, they’ll close down the parks early to celebrate various graduating classes throughout California. If you’re worried about crowds when traveling, make sure to check the official Disneyland calendar before you plan your trip. When you travel in May, you can take advantage of Get Away Today’s Extra Day Free ticket special. With this ticket, you’ll be able to get a 5-Day Park Hopper Ticket for the price of a 4-Day ticket. That’s an extra day FREE to enjoy all of the summer fun! With back-to-school at the top of everyone’s minds, August becomes a slower month for travel. Because of this, traveling during the end of August is a great way to get the best price on your Disneyland vacation. Since families are preparing for summer break to end, you’ll see fewer crowds as well. However depending on when Star Wars: Galaxy’s Edge opens, August might become a more popular month for travel. If you’re thinking about planning a trip in August of 2019, we would suggest booking it as soon as possible. Fortunately, Get Away Today just released their 2019 Disneyland Ticket pricing, so you’ll be able to lock in your vacation for 2018 rates. The best part? You’ll be able to snag hotel rooms while they’re still available. In August, you can save big by booking discount hotel specials with Get Away Today. Not only do they offer the best price guaranteed, but you’ll also be able to take advantage of exclusive amenities like free parking, free breakfast, free transportation and more! September is also a great month to travel to The Happiest Place on Earth, especially if you go before fall break begins. Since Halloween Time begins earlier each year, there’s also a good chance you’ll be able to catch the spook-tacular celebration during Halloween Time at the Disneyland Resort. Luckily, Get Away Today offers their Adults at Kids’ Prices ticket special throughout September as well. This means you’ll be able to beat the frightful crowds during Halloween Time and save big on your next vacation to the Disneyland Resort. No matter when you decide to go, make sure you book your next Disneyland vacation with Get Away Today. With discount Disneyland tickets, hotel specials and helpful travel experts, you’re bound to have the best vacation yet. Plus, you can always take advantage of their flexible Layaway Plan option. For just $125 down, you can book your vacation as soon as you dream of it. Get Away Today aims to make vacationing affordable for every family. To book, visit getawaytoday.com or call 855-GET-AWAY to speak to an agent directly. Don’t forget to mention promo code ThriftyNW to get an additional $10 off your next hotel and tickets vacation package. Let them know that Thrifty Northwest Mom sent you!